So here's our little paean to the folks that make it all happen, our clients. I promised myself I wouldn't get all misty but no guarantees. Because they're the real heroes. At some point, when you're engaging with a new client, they make a leap of faith that you'll deliver on what you say you will, and that what you're giving them is what they need and want. And it's that moment of trust, the spark, that makes every partnership happen for us. It's new and fresh every time and we take our responsibilities as the beneficiary of that trust quite seriously. You'll see a wide variety of industries represented below. 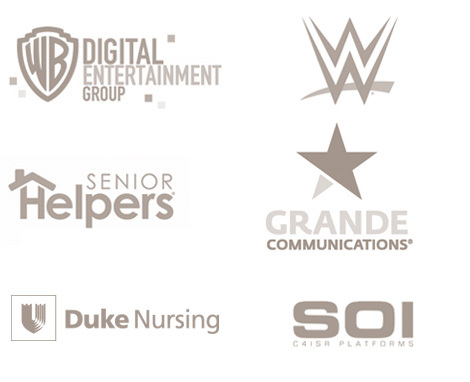 We do have our specialties but we've got successful partnerships that run the industry gamut. In the words of Encyclopedia Brown, "No case too large or too small". Unless it's, you know, too large or too small. Just call us anyway. 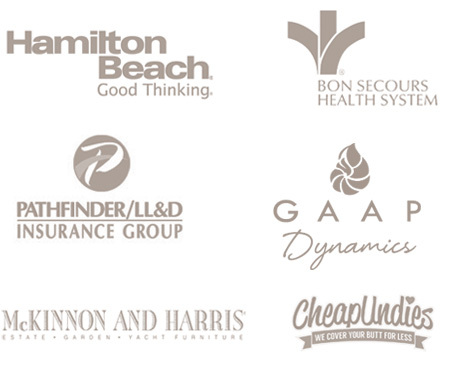 Check out below for a smattering of some recent clients (and ones we like to show off). From the start, we've been geared to work with agencies. And we've worked with a lot. But you won't see their logos here and that's because, hey, we know how to work with agencies. We tell all of our agency partners the same thing; it's your client, your strategy and your creative, we're just here to make you look good. We can be a known partner or a seamless extension of your own capabilities, picking up the project at whatever point you'd like. It's all on your terms and by your rules.